Heat a large skillet over medium-high heat. Spread butter evenly on both sides of two slices of bread. 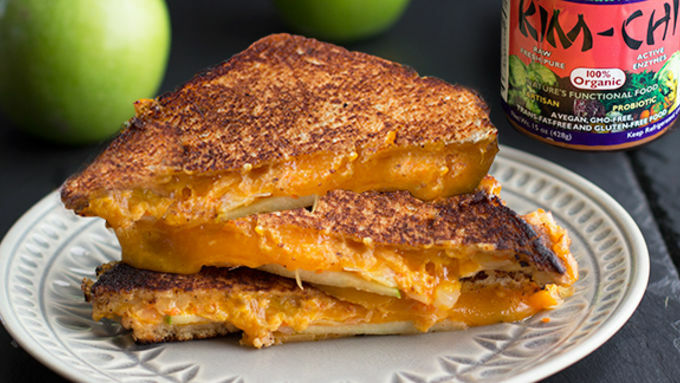 Add one slice cheddar cheese, a few green apple (or Asian pear) slices, kimchi and one more slice of cheese evenly on one piece of bread. Top with the other slice of bread. 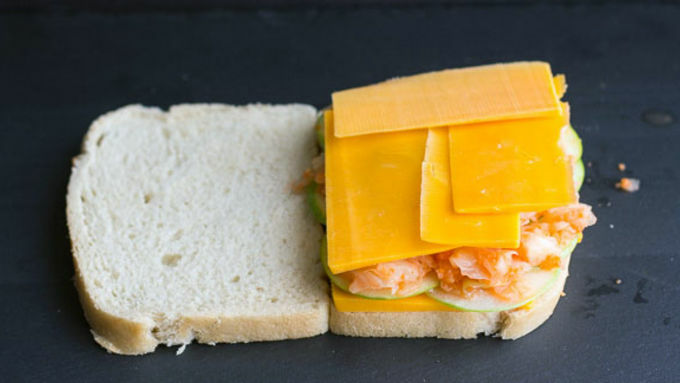 Place the sandwich in the skillet and cook, pressing with a spatula from time to time, until the underside is golden brown and the cheese starts to melt. Repeat on the other side, transfer to a plate. Repeat with remaining ingredients. Serve immediately! 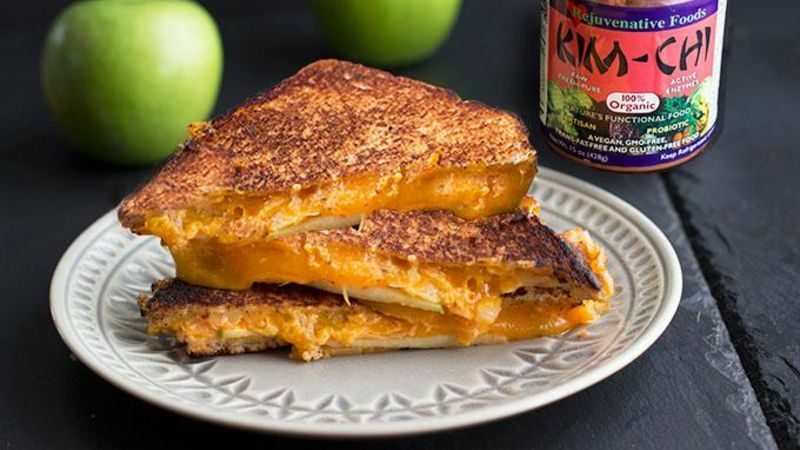 Clever title aside, this Kimcheese Sandwich is tangy, sweet, ooey and gooey all at once. In short, it's fabulous. So this sandwich. I know it may seem a little crazy, but just hear me out. It is one of the best variations of a grilled cheese … ever. Ever, guys. If you have never heard of kimchi, it's time to familiarize yourself with it. Kimchi is a traditional Korean side dish made of fermented vegetables with a variety of seasonings. It’s got a little kick to it, but I love some heat! I have to admit that this recipe is not my idea. Jaden of Steamy Kitchen posted this sandwich a while back. She adapted it from the cookbook Eat Your Vegetables by Joe Yonan. Really, it is an incredible grilled cheese. And simple. Like ten minutes simple. You really just have to make it! Slice and eat! Just look at the cheese. It’s gorgeous … and so totally delicious!